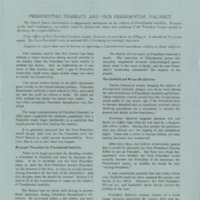 The agreement was proudly announced to the press. 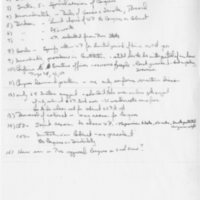 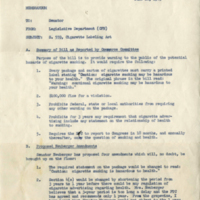 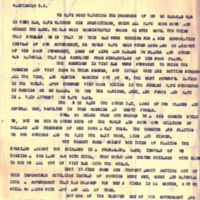 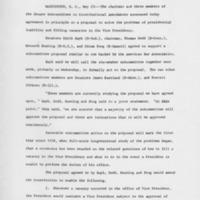 A staff memorandum to Senator Birch Bayh (D-IN) summarizes the Cigarette Labeling Act as reported by the Commerce Committee and proposed amendments. 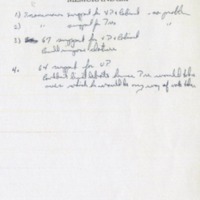 Writing from Fort Leonard Wood in Missouri, an Army Chaplain spouse relates the complex emotions her husband is encountering during his service in Vietnam. 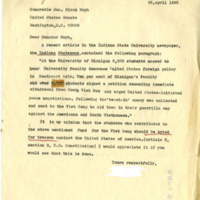 She shares details from his letters home with Senator Bayh. 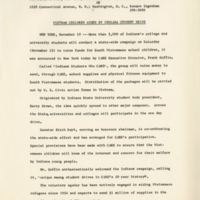 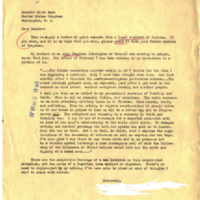 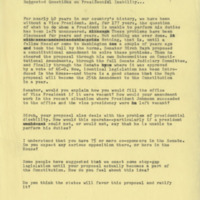 In a brief letter a constituent calls on Senator Bayh to see participants of an Michigan teach-in and alleged fundraiser for the Viet Cong be tried for treason.